After having been involved in big-screen romances with Takeshi Kaneshiro and Daniel Wu, Chinese mainland actress Zhou Xun will again open her heart on-screen, this time to another heartthrob - Vic Zhou. Shanghai Morning Post says that "The Banquet" actress will take on the leading role as a cab driver in the Huayi Brothers' unnamed love thriller, crazily searching for her missing boyfriend, who will be played by Taiwan actor/singer Vic Zhou. 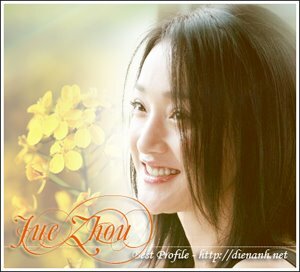 Zhou Xun was named best actress at the 2005 Hong Kong Film Critics Society Awards for her performance in Peter Chan's "Perhaps Love," which also stars Takeshi Kaneshiro. She worked with Daniel Wu in Feng Xiaogang's 2006 hit "The Banquet." The film received the Future Film Festival Digital Award at that year's Venice Film Festival. Sources from Zhou Xun's agent company, Huayi Brothers, say she has been waiting for a good screenplay ever since "The Banquet," and was drawn by the new thriller's interesting plot. Singaporean actress Fann Wong is also expected to appear in the film. Shooting is set to start next month.